If there's one makeup item I can't stop buying, it's foundation. I'm on a constant search for the perfect base, and now have a fairly hefty collection of foundation disappointments. One foundation which is forever hyped within the blogging world is the Estée Lauder Double Wear foundation due to it's unbeaten lasting power, however I always put off purchasing this as I was worried that it would be too heavy for my skin and the lack of pump really put me off. Skip forward a couple of years and it's now happily sitting on my dressing table and has been my 'go-to foundation of late. 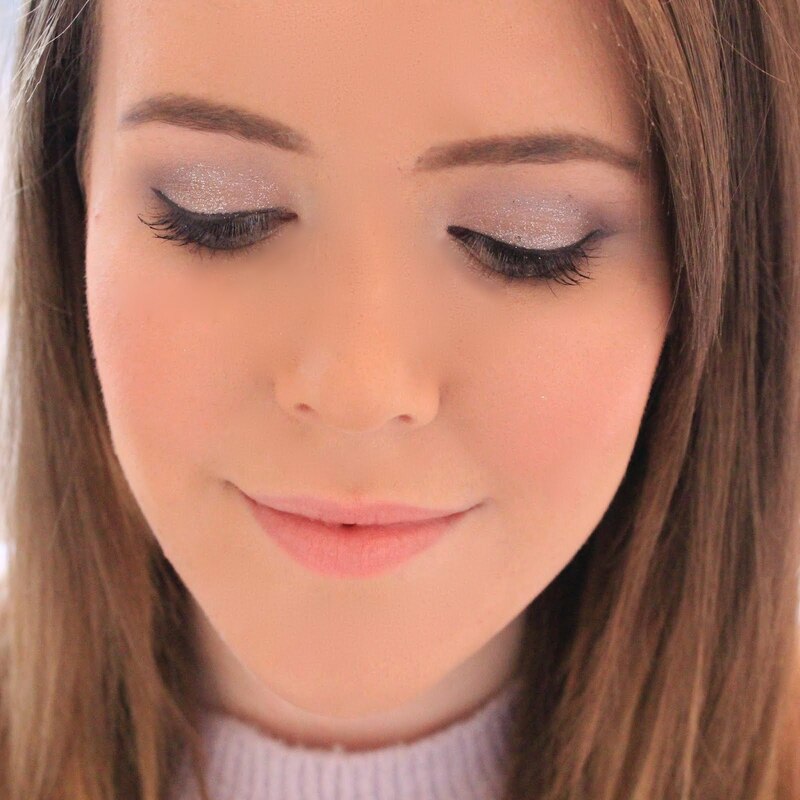 I've been matched to Double Wear a few times now and I've never really been happy with the shade, as they've either been too dark, too pink or just 'off', until a lovely counter assistant sat down with me and really listened to what I wanted. She understood that although I have naturally pink skin, I don't want to emphasise this but I also didn't want to go too yellow in my shade as I knew it wouldn't look quite right, and she really worked to ensure that the shade she chose matched my neck - something I always struggle with. I came away with the shade N1 which has neutral undertones and is one of their lightest shades, and low and behold, it's a great match for my skin. The Double Wear foundation comes in an incredible 30 shades, ranging from cool tones, through to neutral and warm toned shades so there's sure to be a match for you somewhere in there. One of the things I love about this foundation is the coverage. The foundation easily offers you a full coverage look with minimal product, one thin layer and pretty much everything is covered, from my acne to my dark circles. However, it does dry incredibly quickly so you do need to work quickly when applying and blending the foundation to avoid a caked on look, as it's definitely not a natural looking foundation at the best of times. I've been testing the foundation out for a couple of weeks now and whilst the foundation applies well with a buffing brush, my preferred way of applying double wear has to be with a damp beauty blender, as I find this gives the foundation a lovely even application and sheers it out ever so slightly to achieve a more wearable daytime look. With a foundation like Double Wear, it's easy to assume that it will give you an extremely matte, almost powdery finish however it's actually got more of a satin finish which provides a slight hint of 'glow'. This is my preferred finish in a foundation as it ensures that whilst my skin doesn't look shiny, it also doesn't look completely flat and still manages to highlight my natural features. However, it will cling to dry patches and show up any bumpy areas you have on your skin if you don't properly prep your skin for application. I have combination skin so I have to make sure that I really do exfoliate regularly and use an intense moisturiser on my dry areas before application to ensure this doesn't happen. The real winner for me with this product though is the longevity of it's wear. The foundation claims to last up to 15 hours, and whilst I haven't been wearing my foundation for that long at any one time, I can vouch for it's incredible staying power. I have the kind of skin which foundation loves to hate, usually by the end of the day my skin is looking all kinds of horrific with large shiny areas and a patchy finish at best. However, with Double Wear I manage to leave work looking reasonable and the foundation is still well and truly in place. In fact, there isn't one claim which the foundation has made which I've found to be untrue. It doesn't change colour or oxidise on my skin, it doesn't smudge or transfer onto my clothes throughout the day and although it's a heavy looking foundation and you won't be convincing anyone that you're going for the 'no makeup' look, it's actually pretty lightweight feeling. Overall, I really do love this foundation as the longevity is unbeatable - seriously, nothing looks this good on my skin after a full day at work, but as the weeks have gone on I'm not 100% sure about the finish as it does highlight all of the little bumps in my skin. I'm starting to think that this miracle product doesn't exist though, so for the time being I'm probably likely to repurchase this, even just for work purposes. I had a bottle of the old formulation Double Wear and I loved it so much. I've missed it since I finished it last year, I need to pop to a counter to find out what my new colour would be. I often found the old selection pulled a little yellow so hopefully with this new selection I'll get a truer colour match. I love this product. It matches my skin so freaking well and the durability is also one of my favourite qualities of this foundation! Absolutely! I bought £4 MAC foundation pumps and they fit the bottle perfectly, then 1 pump is enough to do my face. This is my favourite foundation. I've been using it for 6 years not and honestly haven't found a better one out there. Yep, this one definitely stays put like it promises to! But I agree with you on the finish, it's not always the most natural. I keep meaning to buy this for a night out foundation - is it okay with flash etc?